S3 Communications was registered with RCB of Singapore in April 2000. The area of specialization includes: Production of Corporate/ Training Videos, Commercial photography & Graphics Design. After several years of successful operation, it was incorporated as S3 Communications Pte Ltd in March 2008. 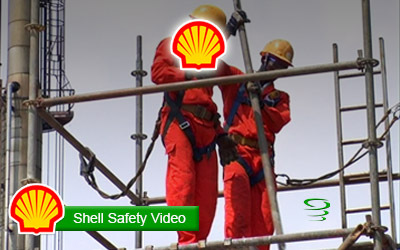 One of our more significant areas of works is the specialization in the production of training videos and technical consultancy for CD conversion process of NE line, CCL2, 3, 4 &5, Fusionopolis & Atrium @ Orchard, KPE ACMV construction & developmental process, and as a pioneer media partners & consultancy for Shell Safety & Security, Senoko Safety & Security and for the on-going National Weather Study Projects, etc. In the year 2014, we have expanded our business across Singapore to Malaysia and diversified our services into Digital Marketing. Other than video production service, we also offer Website Design, Search Engine Optimization (SEO), Internet Advertising (Google & Facebook Ads), Social Media Marketing & Go Viral Marketing. Count On Us for Effective Online Advertising Campaigns. We know how to spread your message further & enable it to go viral!! We are specialized in the full production of Corporate, Training Videos, Commercial Video, Commercial Photography, Explainer Video & Go-Viral Video. Digital Marketing is essential in current marketplace. We offer affordable Website Design, Search Engine Optimization (SEO), Paid-Per-Click (PPC) and Social Media Marketing. With over 2 decades of experience in helping organizations communicate their messages in innovative ways; Logo Design, Name Card Design, Letterhead, Brochures, Premium Gift, Banner & Signage. 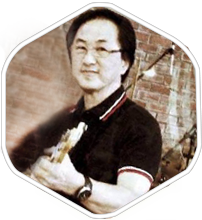 Founder of S3 Communications Pte Ltd who is responsible for all aspects of business & creative ideas. He is also an avid guitarist. 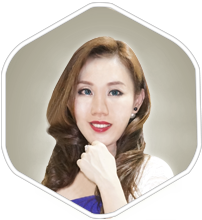 Alice is Our Senior Producer; She has produced numerous Reality TV programs in Malaysia. She rides her favourite cute Beetle to work. 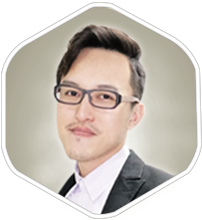 Head of Digital Marketing, Damon is a passionate SEO Expert, SEO Consultant & a perfectionist in his work. He's also the one who hangs his bicycle on office's wall.